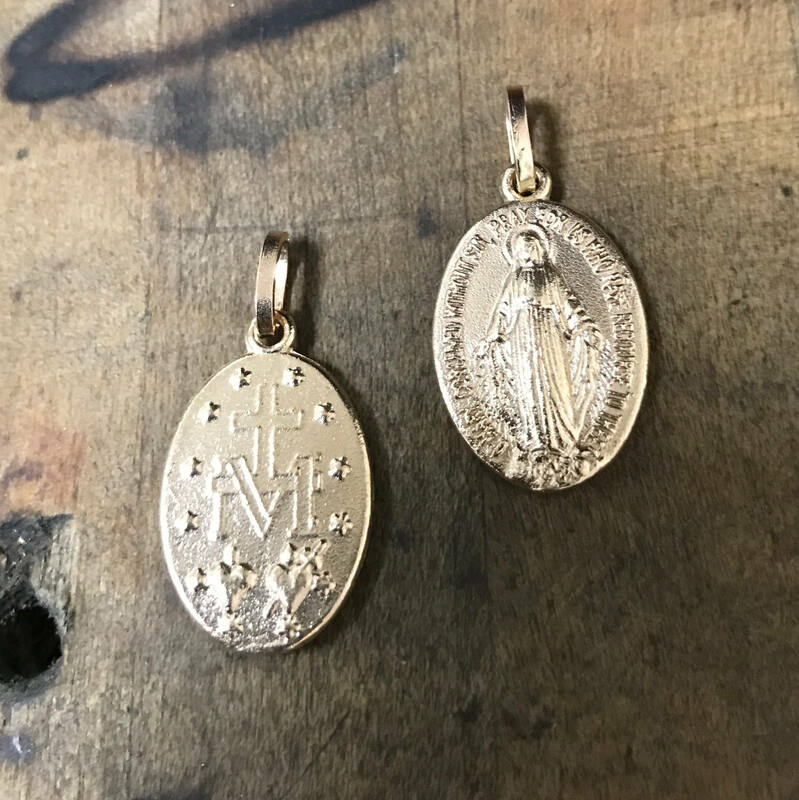 14K Gold "Miraculous Mary" medallion. 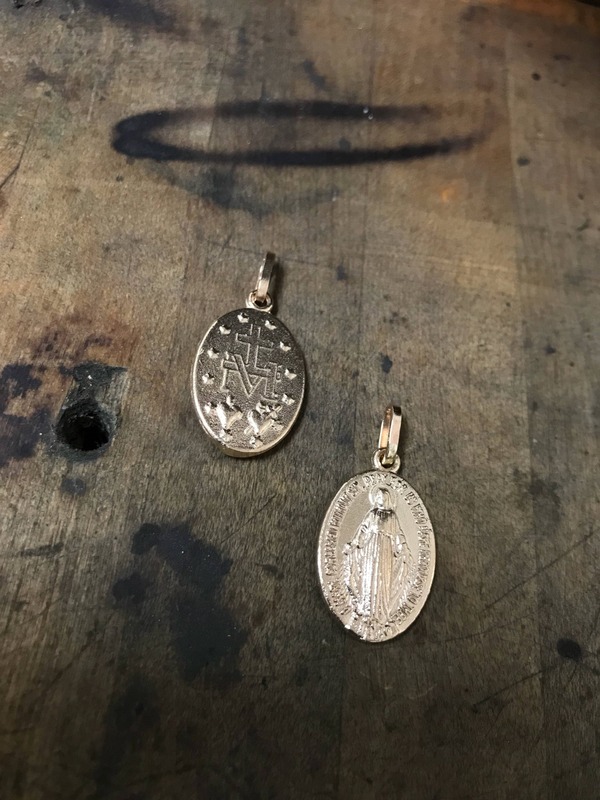 Pendant is available in Gold, Rose Gold or White Gold. 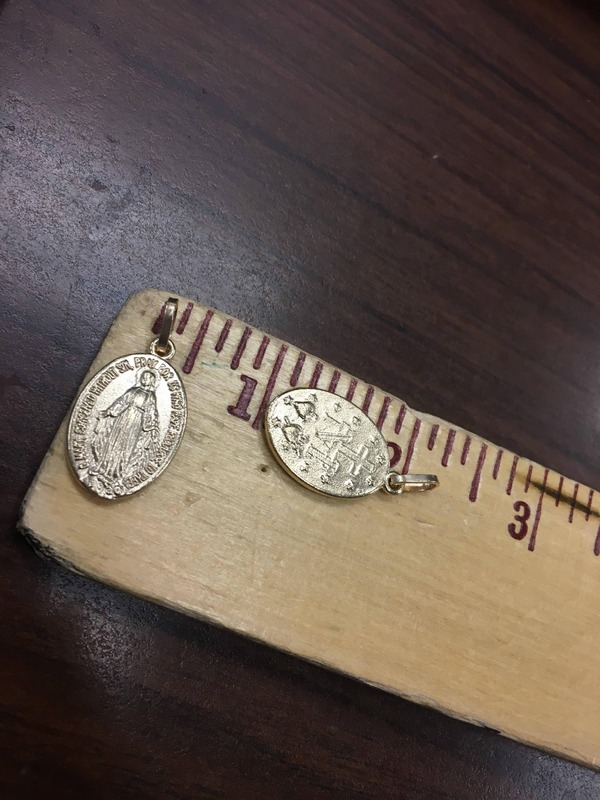 "All who wear them will receive great graces"